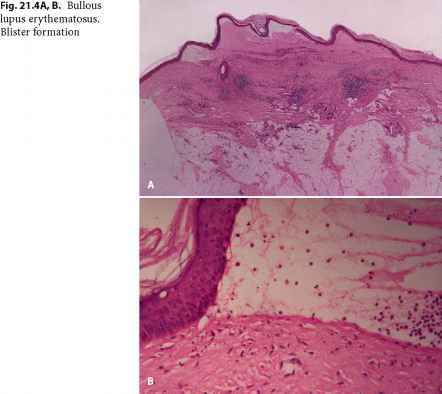 ated with the resolution of cutaneous histopathologic abnormalities, conversion of abnormal lesional direct immunofluorescence to normal, normalization of the epidermis on electron microscopy, and reduction in the number of T cells near the der-moepidermal junction without change in the ratio of T-helper (inducer) cells to T-suppressor (cytotoxic) cells. Retinoids may be useful in establishing rapid control of resistant lesions or in treating intermittent acute flare-ups, whether used as monotherapy or in combination with antimalarials or corticosteroids and in patients with CLE refractory to other drug regimens. 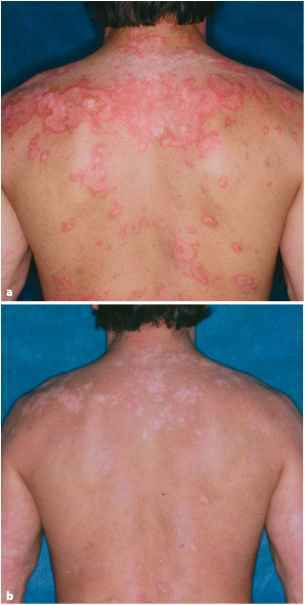 Because of the recurrence of skin lesions after discontinuing medication use, long-term treatment may be needed to maintain control (Brecher and Orlow 2003, Duna and Cash 1995, Ellis and Krach 2001, Furner 1990a, Newton et al. 1986, Shornik et al. 1991).